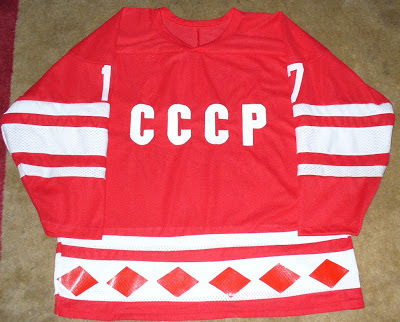 Beside the Soviet goal jersey, I also have a player's red CCCP jersey. Jersey has the heat pressed diamonds and numbers when I got it. The jersey was originally uncrested. Found the CCCP online somewhere, printed it out, made and sewed on the tackle twill letters. Looks similar to the jerseys the Soviet worn in 1980. 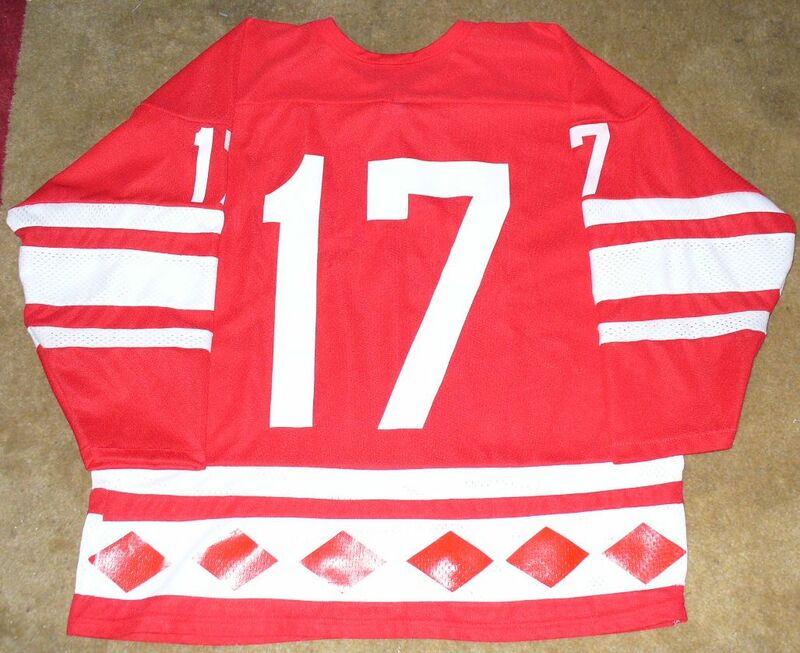 #17 at that time would have been Kharlamov. Also modified the end of the sleeves. Originally only had 2 white stripes on the sleeves. Found some white mesh material and serged in the last stripe. Either the sleeve was originally a little short or I miscalculated somewhere; in any case the sleeves are a little shorter than normal (may or may not fix in the future). Got that jersey from me...#17...wore it in a league. Thanks for the info. Was almost certain I didn't get it locally, but wasn't sure where I got it from.